Speaking at the Deutsche Bank Conference, John Stephens, the Chief Financial Officer of AT&T Inc (NYSE:T), discussed the firm’s plans for 2018 and future. He outlined the firm’s priorities for 2018, which comprise closing its pending deal of Time Warner and investing capital of $23 billion to establish the best gigabit network in the U.S.
AT&T intends to release the next-gen of its “DIRECTV Now” video streaming service in 1H2018. The new platform will comprise features such as cloud DVR and a third video streaming offering. Additional features anticipated to release later in 2018 comprise more video on demand and pay-per-view functionality. The firm’s 2018 plans also comprise better profitability in its wireless businesses in Mexico and, post the Time Warner deal closes, deployment of a new analytics and advertising platform that will utilize the firm’s consumer data to offer new, data-led advertising features within premium video. And, like always, AT&T continues to be laser-focused on maintaining a market-leading cost structure. AT&T’s investment plans comprise installation of the FirstNet network, the first countrywide public safety broadband setup in America, which is specifically intended for their country’s police, EMS, firefighters and other first responders. The firm will also improve wireless network capacity and quality and intends to be the first to release mobile 5G service in twelve cities by the close of the year. AT&T reported in February that Dallas, Atlanta and Waco, Tex. will be included in the list of first 5G markets. Stephens reported that AT&T reaches around 15 million consumer sites with fiber. This comprises over 7 million consumer customer sites and over 8 million business customer sites within 1,000 feet of company’s fiber footprint. He anticipates this to increase to around 22 million sites by mid-2019. 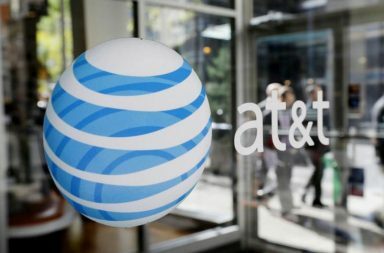 For 2018, AT&T projects organic adjusted EPS increase in the low single digits, led by enhancements in wireless service revenue trends, enhancing profitability from its global operations, cost structure developments from its SDN/network function virtualization initiatives and lower depreciation compared to 2017. Why Biopharmx Corp (NYSEAmerican:BPMX) Is In Focus?